There are two subcategories of hardwood. They are solid and engineered hardwood. Here are some differences between them. Solid hardwood is one piece of wood from top to bottom. Solid hardwood comes in different thicknesses. Typically, it is ¾". It could also be 5/8" or ½". Whatever the species, oak, hickory, maple, etc., solid hardwood is one piece of that species. The only way to see the difference between solid and engineered hardwood is to see a cross section. We have cross sections of engineered hardwood in our showrooms. From the top, looking at the surface, you cannot tell the difference. You have to see how the product is constructed. 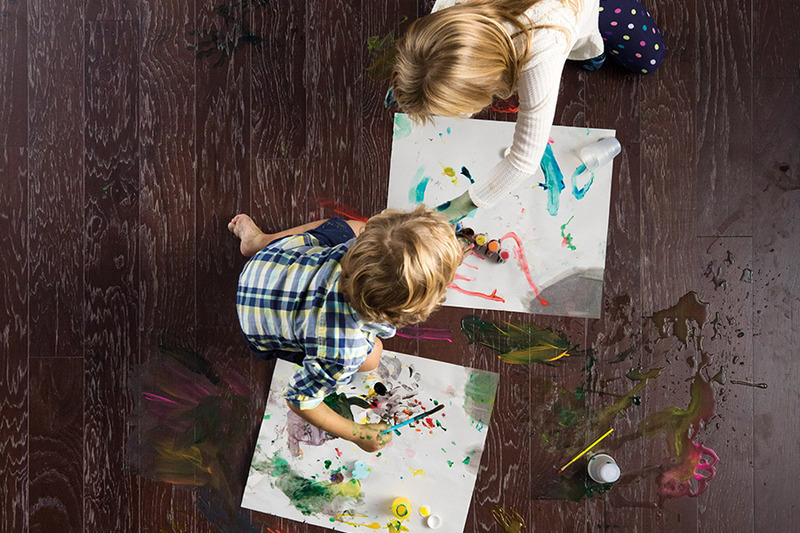 Engineered hardwood is made up of layers of wood. Usually, there are seven layers. It can be anywhere from four to nine. 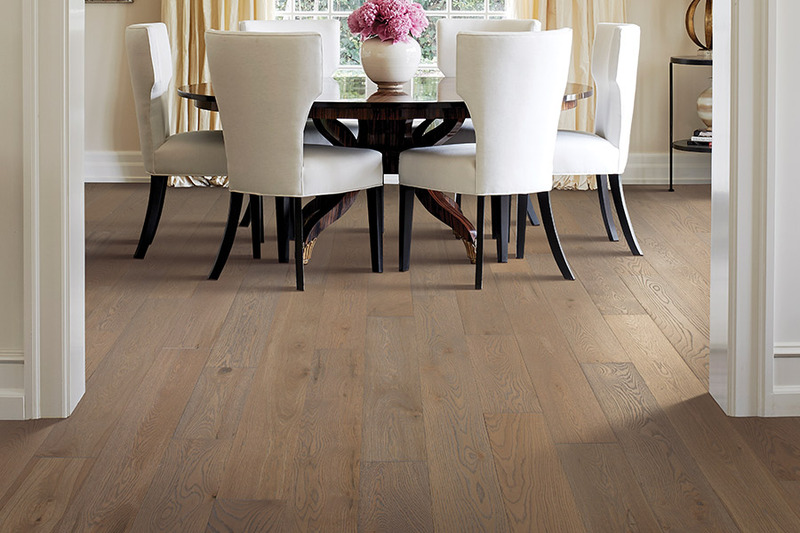 Engineered hardwood is layered wood that is put at 90° angles all the way across and all the way up. The top layer and usually the bottom layer are the real species such as oak, hickory, or maple. The top layer varies in thickness. The top layers just like solid hardwood have different features. They can have a glossy or a hand-scraped texture. Solid hardwood must be nailed or stapled down to a wood subfloor. The nails or staples are shot through the tongue of the planks at an angle. 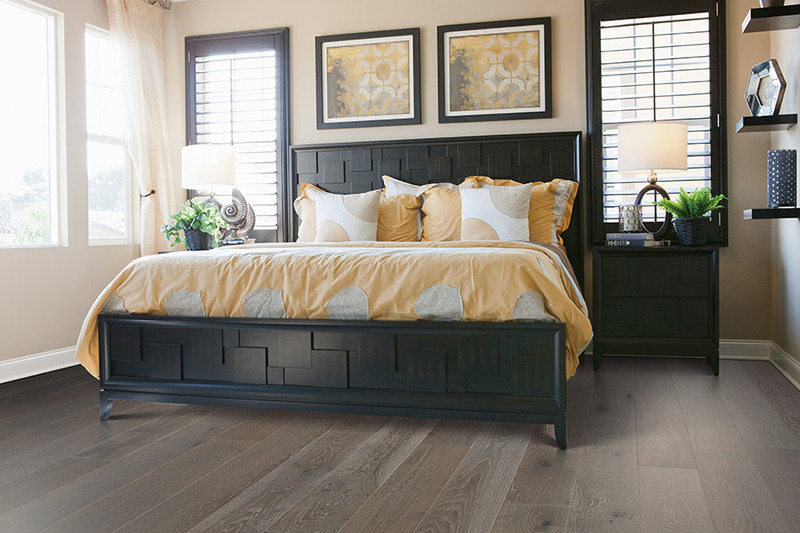 Typically, solid hardwood is not installed over concrete subfloors. There are some glues available that work with solid hardwood that are very expensive and not totally trusted by installers. The significant difference between solid and engineered hardwood is the way hardwood must be installed. With engineered hardwood, there are options regarding how to install it. It can go down on a wood or concrete subfloor. On a concrete subfloor, glue is troweled out, and the pieces are put down. It is a little more difficult for DIYers but very common. The other method of installing engineered hardwood over a concrete subfloor is to float the flooring. The tongue-and-groove is glued together. A thin bead of glue is put on the groove side of the pieces, and they are laid over the floor. 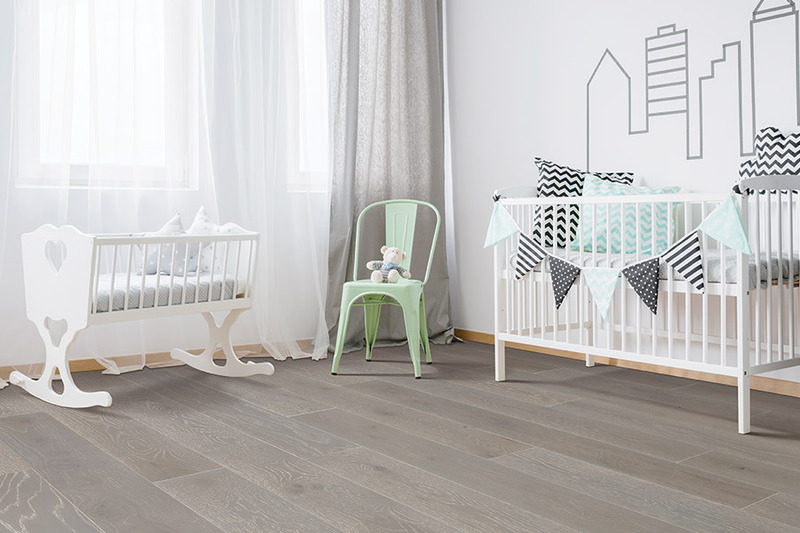 On wood subfloors, engineered hardwood can be installed in the same manner as solid hardwood. 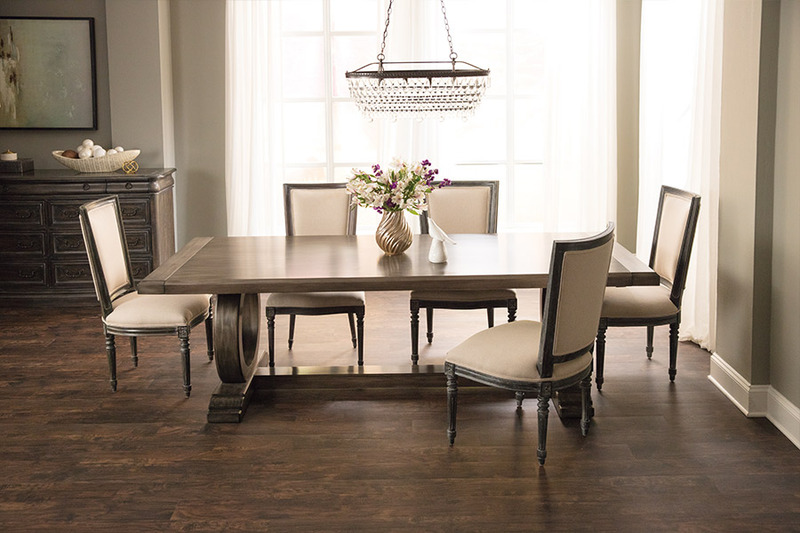 At Michaels Flooring Outlet, we have hardwood that will complement the style of your home. Our showrooms are located in Florissant, Creve Coeur, Dardenne Prairie, and St. Peters. We have hardwood customers from these towns and the Greater St. Charles and St. Louis Counties.